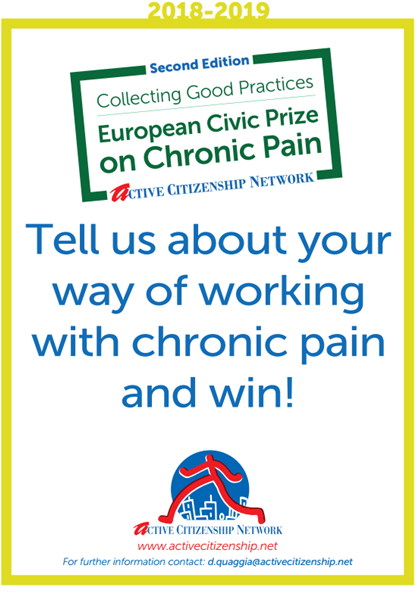 The Application period for the second edition of the bi- annual research-project at the European level “EU Civic Prize on Chronic Pain - Collection of good practices” has started! You can now enter your good practice by completing an on-line form. LINK TO FORM HERE! The award is open to any healthcare stakeholder: patients’ associations, health professionals, private and public hospitals, universities, etc.